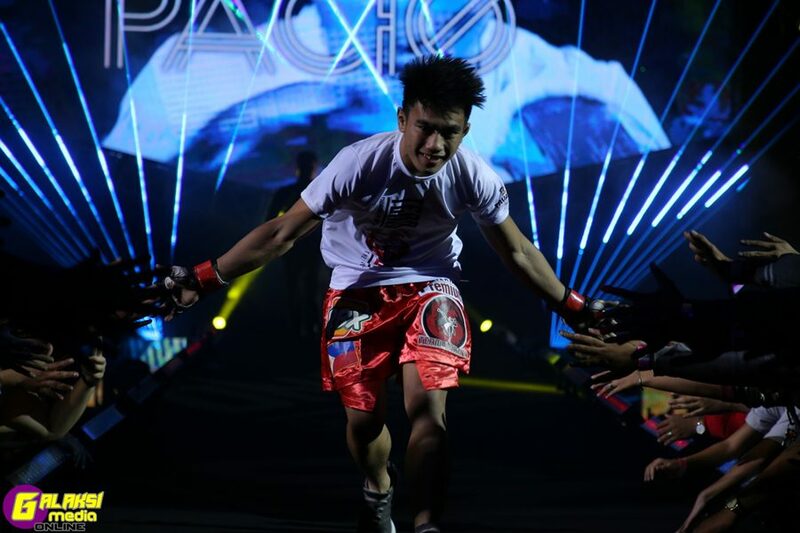 Joshua Pacio’s reign as the ONE Strawweight World Champion came to an end on Saturday, 19 January at ONE: ETERNAL GLORY in Jakarta, Indonesia. The 23-year-old Filipino wowed the millions of fans watching with an impressive display of grit and determination. However, the Team Lakay representative fell to Japanese challenger, Yosuke “Tobizaru” Saruta, via split decision. Saruta used his experience to his advantage, striking when he found the smallest of openings and defending when it mattered most. For “The Passion,” there is no reason to look back in defeat. Instead, the young athlete is looking ahead and is focused on improving his martial arts skill set. “This fight was a great experience for me,” an emotional Pacio said. Both athletes were quick off the mark, but Saruta mastered the Filipino’s tactics. In the opening round, the 31-year-old caught an attempted head kick and punished Pacio by putting him on his back. The second frame belonged to Pacio, while the third stanza was an even affair as Saruta escaped the Filipino’s guillotine choke attempt before exchanging strikes. After an energy-zapping round, it was “Tobizaru” who came out in the fourth with more determination. He paced out of his corner and instantly hit a perfectly-timed single-leg takedown. The fifth and final round of the 25-minute clash was a similar affair. Pacio forced himself into action, but the Japanese challenger continued to leave his opponent on the back foot. Saruta caught “The Passion” on the chin before recording another takedown in the closing minute of the bout, which sealed the deal. “His experience was a factor, but it was still up to me,” Pacio said. Saruta improves his record to 19-8-3, while Pacio’s record dipped to 13-3. The question is will we see Saruta defend his World Title at ONE: A NEW ERA just two months away? Only time will tell.